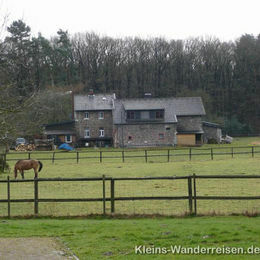 The Eifel has so many great characteristics! It is mysterious – like the Maare and the Venn. 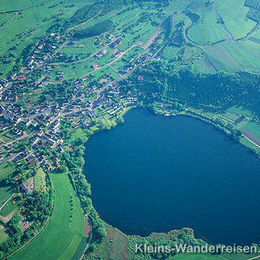 It is full of motion – like the water landscape of the northern Eifel. 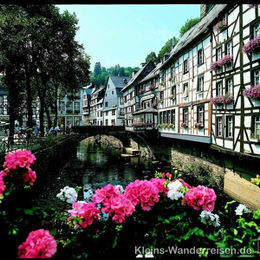 It is cheerful – like the Valley of the Kyll and the Lieser. 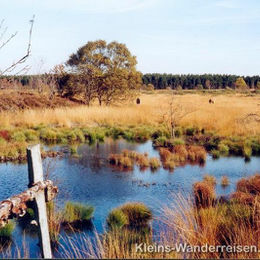 It is lonesome – like the Meulenwald and the national park. 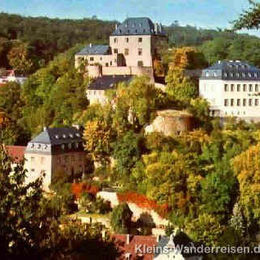 It is old – like the coral riffs at Hillesheim and Gerolstein. 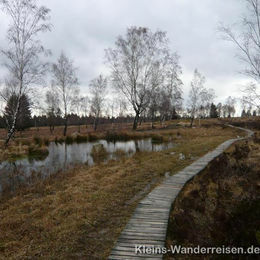 Multi-stage hike in three sections from Aachen-Kornelimünster via Monschau, Blankenheim, Gerolstein, Daun, and Manderscheid to Trier, with alternating hotels and luggage transfer. 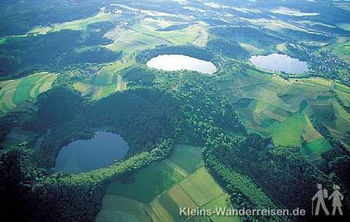 Eifelsteig total length ca. 315 km. Hiking stages can be booked individually, however they must include at least 2 stages = 3 overnight stays. An additional day can be booked at the end of each stage! Daily arrival from mid-April to the end of October. By car or rail to the first hotel of the tour, parking spaces at the hotels in some cases free of charge, and in other cases subject to a fee! 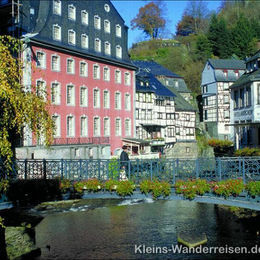 (Details can be found in the travel documents). When arriving by rail, take a taxi from the station to the hotel. Final overnight stay at the end of the hiking tour. By rail: Return home from the station at the end of the tour. 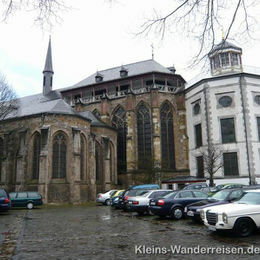 By car: Return from the station to your car at the end of the tour. 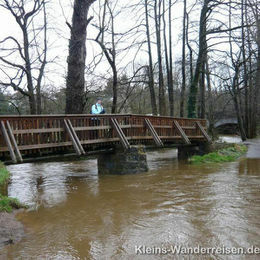 Individual hiking tours in Germany can be hiked at the stated times without a hiking guide, also by individuals. 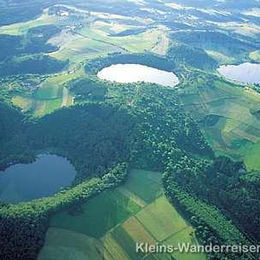 We provide you with all of the necessary materials, such as hiking map, tour description, etc. 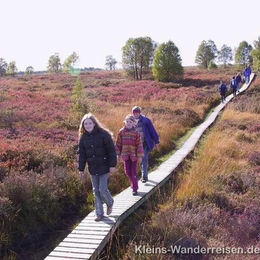 Guided hiking tours in Germany differ from the individual tours in that an experienced guide with local knowledge accompanies you during the entire tour. On our fixed quarters tours you start out on a hike every day from your fixed quarters, on a route that will lead you back to your hotel. We arrange all necessary transfers, which are usually provided by the local hotels. or click Hiking in Europe. 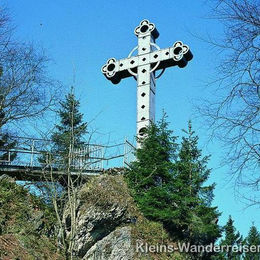 (1 hiker EUR 40, from 2 hikers EUR 20 each). All prices include VAT 19 % Subject to change.